If you’ve upgraded to Windows 10 Fall Creators Update and you find that your PC runs into a black screen, you’re not alone. 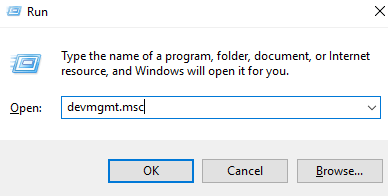 Many Windows 10 users are reporting this problem. But no worries, it’s possible to fix. Here in this post, we provide you with 3 fixes. You don’t need to try them all; just work your way down until you find the one works for you. IMPORTANT: You’ll need to be logged into Windows on the problem computer to try any of these solutions. 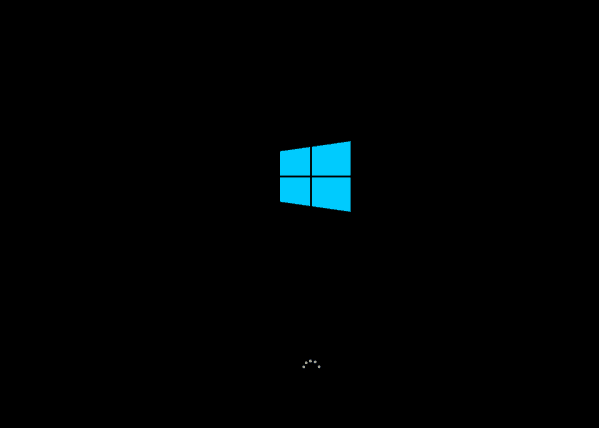 If you can’t log into Windows, power on and off your PC 3 times to perform a hard reboot and restart it in Safe Mode, then try these solutions. Sometimes, your PC’s external devices can be the cause of the black screen problems, for example, when you have too many external devices plugged in. Unplug all your external devices and then plug them back on one by one. 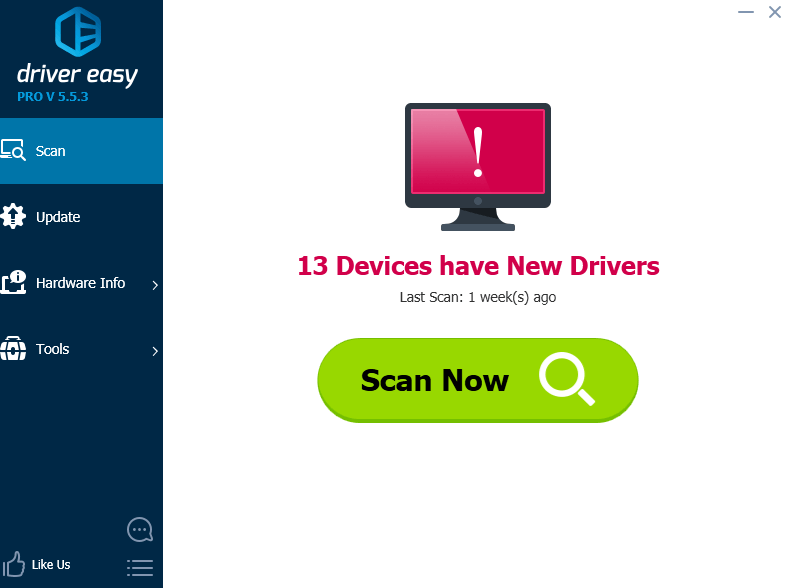 This helps you determine which device is causing the problem. Once you find out the faulty device, you need to contact its manufacturer and see if they can provide support. Note: You should do the uninstall in Safe Mode. 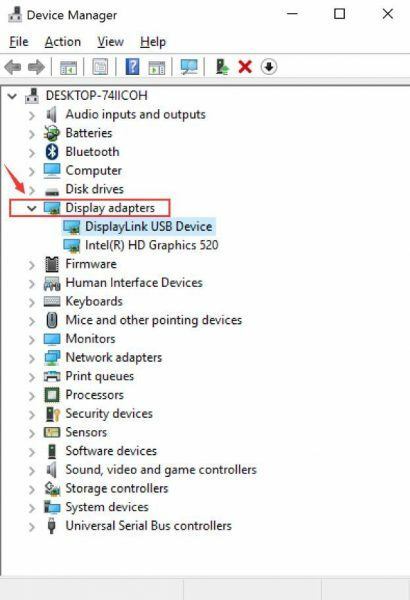 2) Expand Display adapters. Double-click your display driver. 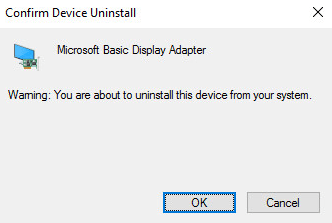 3) Click Driver and Uninstall. 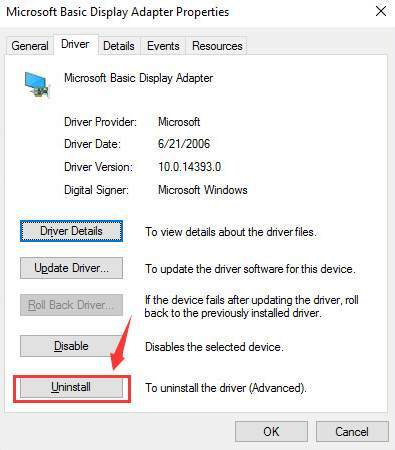 If the above method doesn’t help, you need to check if there is newer version of driver for you display card. 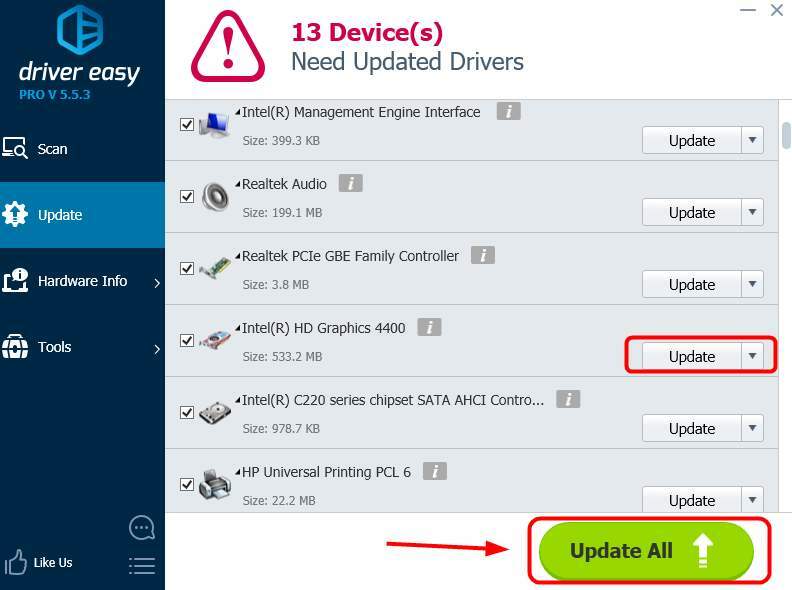 3) Click the Update button next to the flagged display card to automatically download and install the correct version of its driver (you can do this with the FREE version).